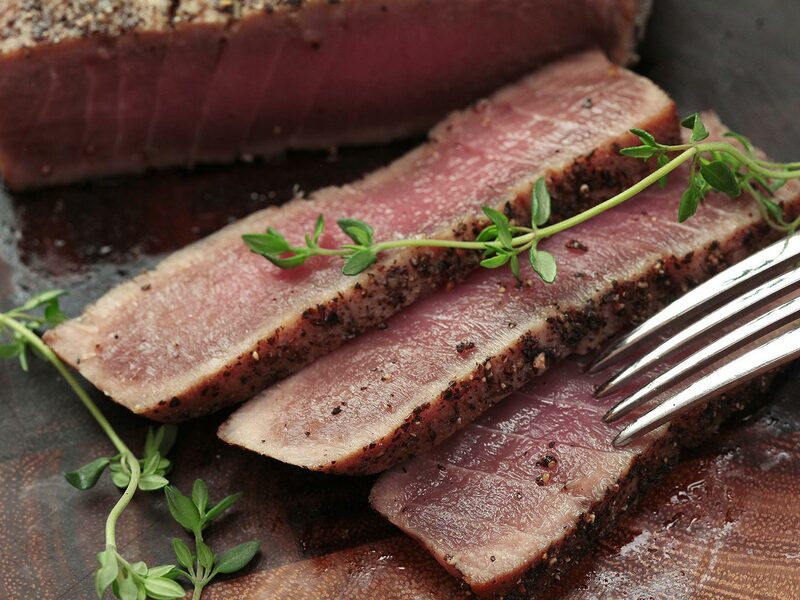 Sous vide is a great way to prepare tuna to be served nearly raw, sashimi-style, or to be used in recipes where you'd typically use canned tuna, giving you better texture and flavor than any canned option. Rather than cold and raw in the center, you can serve tuna that's heated just to the point of starting to firm up, giving it an even meatier bite while maintaining a gorgeous, translucent deep red color and moist texture. Season tuna generously with salt and pepper on all sides. Place tuna in a single layer in a gallon-size zipper-lock bag, or in 2 individual quart-size bags. Add olive oil to bag, or divide it between smaller bags, and turn tuna to coat. 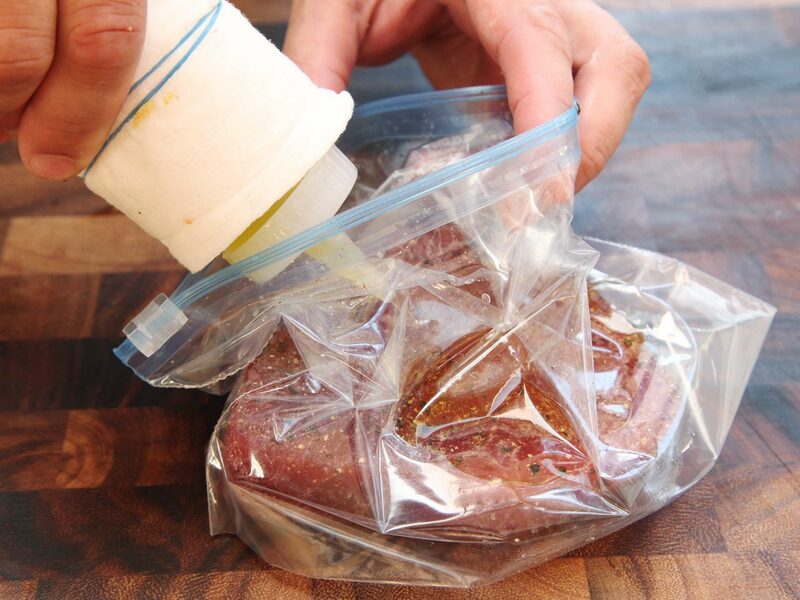 Add aromatics to bags, if using. Close bags, place in refrigerator, and let tuna rest for at least 30 minutes or up to overnight. 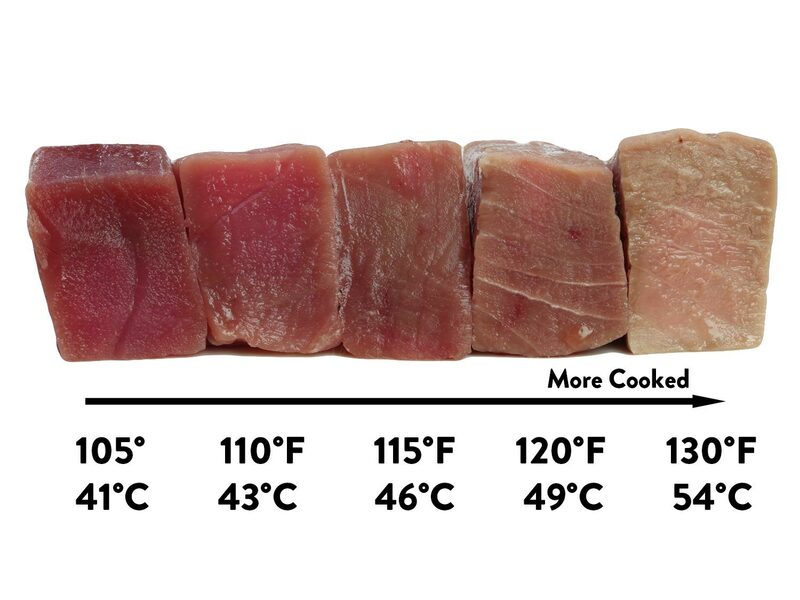 Set the temperature on your Anova according to the chart and allow it to preheat while the tuna rests. 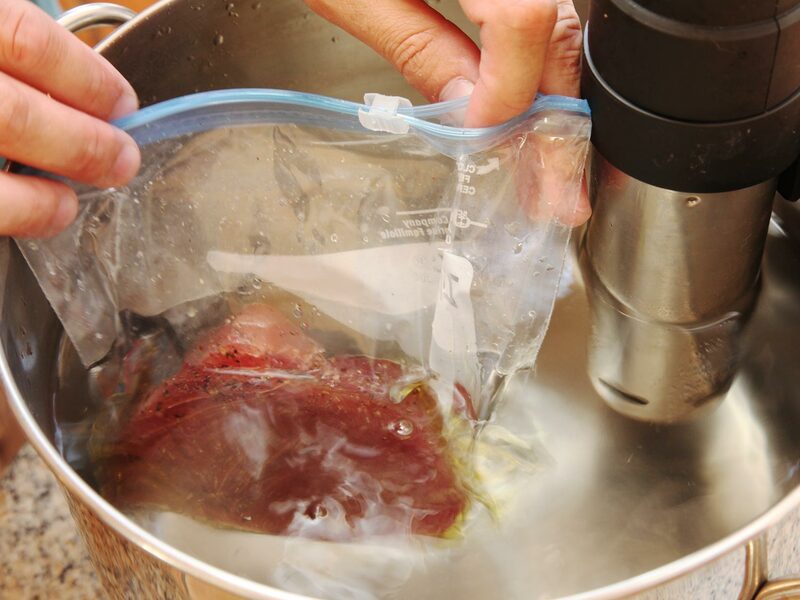 Remove all the air from the bag using the water displacement method, then add the tuna to the preheated water bath and cook for 30 to 45 minutes for one-inch filets, or 45 minutes to an hour for filets up to two inches thick. Carefully remove the tuna from the bag using your hands or a fish spatula. 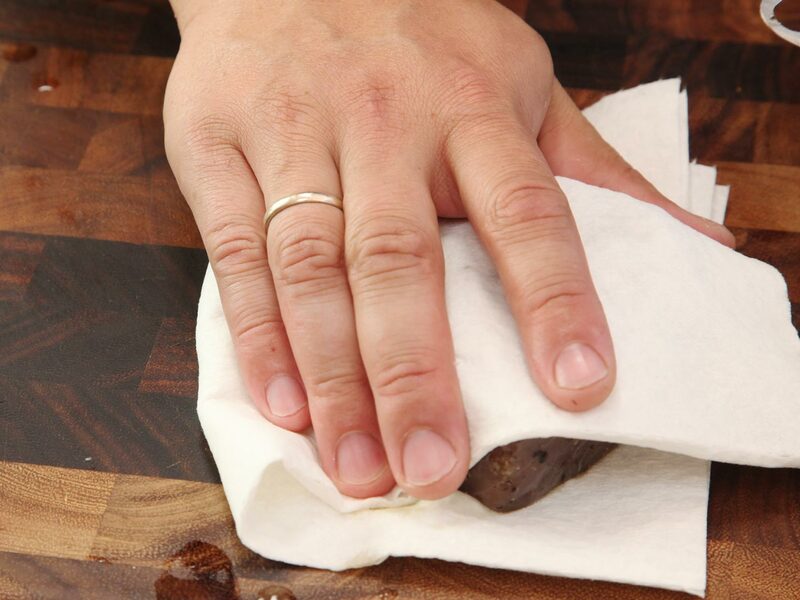 Place it on a double layer of paper towels, then use another paper towel to gently blot the surface dry. Discard the aromatics at this point. Tuna cooked to 105°F / 41°C or 130°F / 54°C can be chilled in the refrigerator and served as-is at this point. 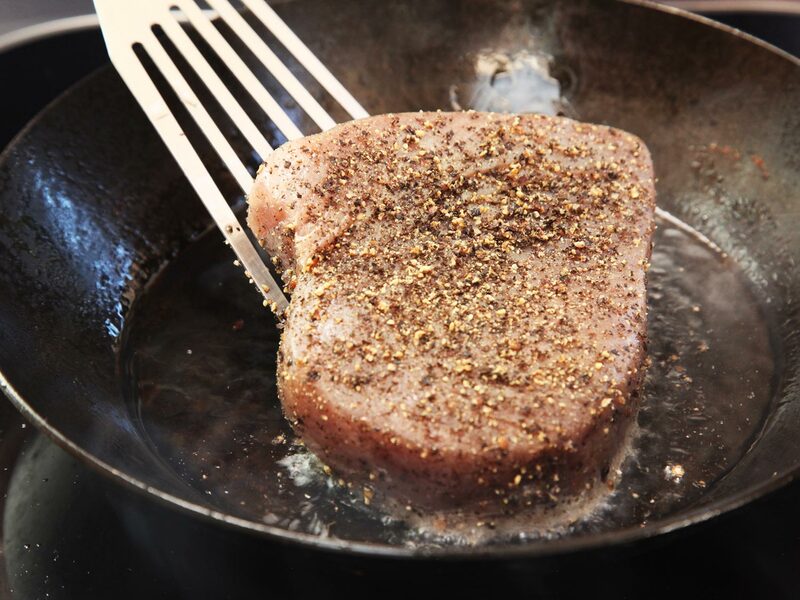 For seared tuna, proceed to the next step. 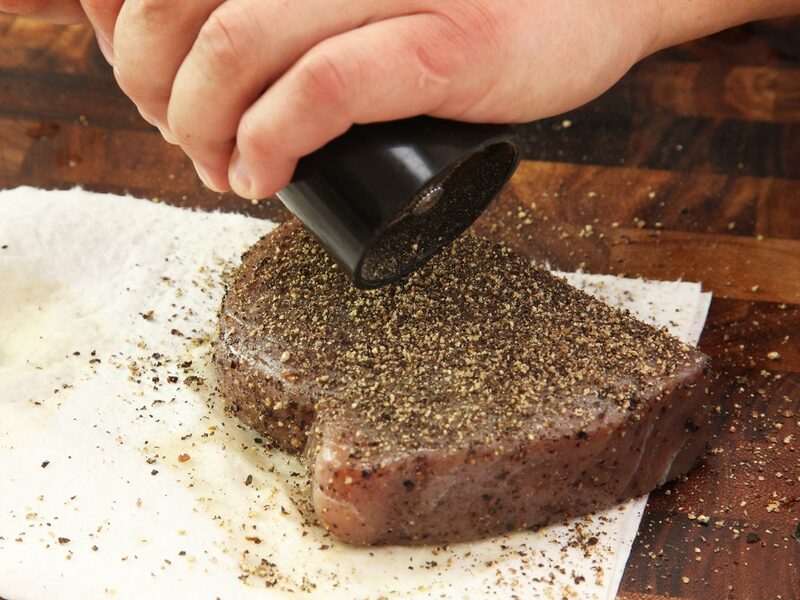 Season the tuna with a little (or a lot) more freshly ground black pepper, or roll it in sesame seeds or other seasonings of your choice. 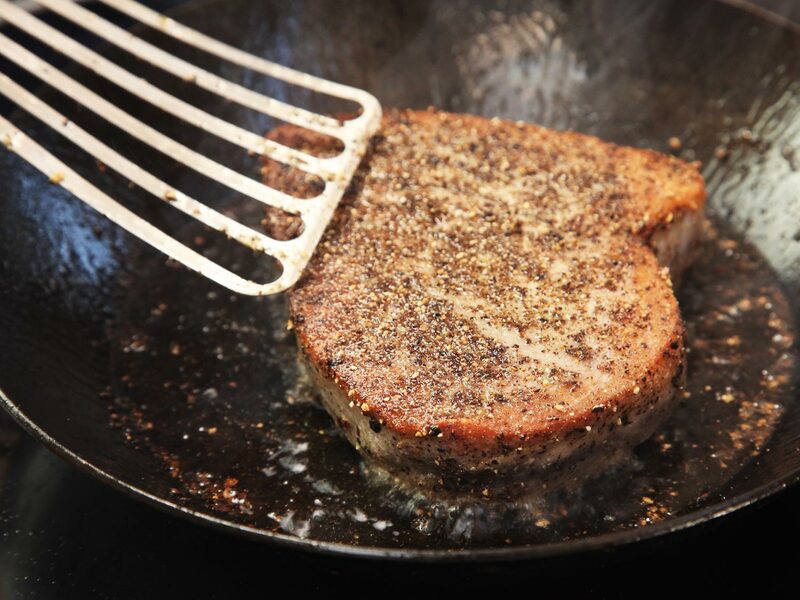 Heat a tablespoon of oil in a heavy skillet over high heat until lightly smoking. Carefully add the tuna and cook without moving until browned, 30 to 45 seconds. Carefully flip the tuna and sear the second side. Using tongs, lift the tuna and hold it sideways to sear the edges all around. 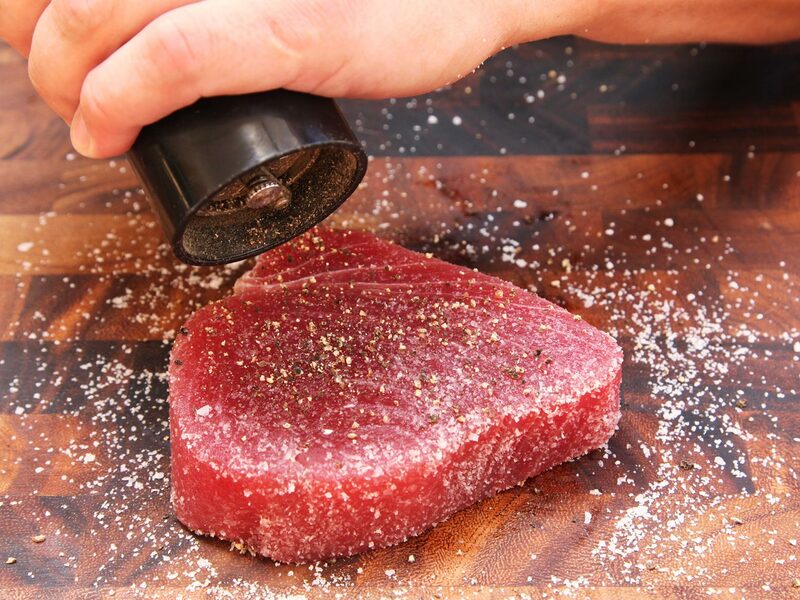 Transfer the tuna to a paper towel to blot off excess oil. 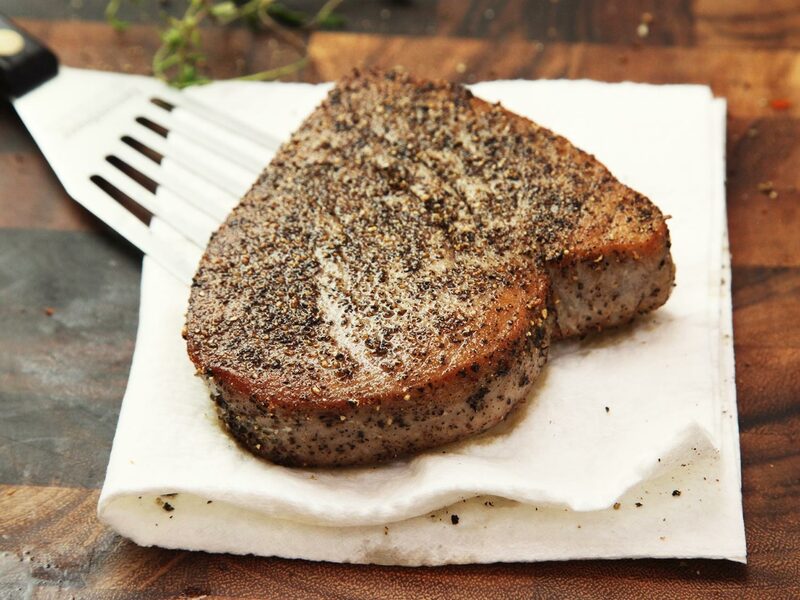 Serve with a fork and a steak knife, or slice with a sharp chicken knife before serving.